I was having a business talk with my client at The Starbucks Coffee. I noticed there were many students around and all seemed to be engrossed to their books. My client's daughter was one of them. The father introduced his attractive girl to me, then only I knew these students were here to study for the next week SPM examination. SPM is equivalence to the Senior Cambridge or the Form Five Final examination. She was also here to take her passport size photograph from one of the photo shop in the shopping complex. According to her, the photograph is needed when entering the exam hall. All students have to place their personal photos on top of their desks. The purpose is to verify and confirm that the candidate is the legitimate student taking the papers. Wow! Things have really changed. Forty eight years ago when I took the Senior Cambridge, we need not show any identification. We just walked into the hall and picked the desks that labelled our exam serial number. No one would ask us anything and we leave the hall after the papers were completed. Time has changed! Today I believe our children are more intelligence and smarter, but they lack the creditability and trust. 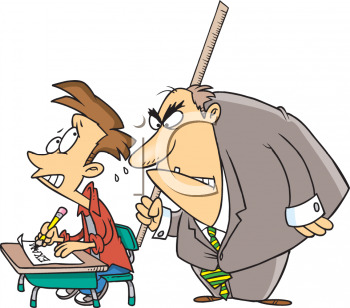 In order to prevent manipulating or cheating on the examination, the authorities have set rules and regulations. Not our days when cheating was uncommon and everyone trust each other. We had to burn the late nite candles to study at home, while today's children had the comfort to study with coffee served by The Starbucks. I wish to be a child again. Moral of the story... The more intelligence one is, the more crafty and untruthful you are. The more smarter one is, the more you know how to enjoy life. you wish to be a child again? I wish to be born during your time, robert. Well spoken and written. I'm amazed at your young age, you could see the insight of life. Wise you are... my dear. My advice... Keep the good and drop the bad habits of life.